Spey casting on the Deerfield River and Salmon River and others for salmon, steelhead and trout and learning from Walt Geryk with his in-depth knowledge of single and two-handed casting and fishing skills are opportunities that will raise abilities to the highest levels. Experience Walt's unique ability to teach the technical aspects of each and every cast from creating the proper anchor point to the fly presentation. Learn to recognize faults and how to easily self-correct them. Understand the importance of body posture and positioning as you are coached by one of the best spey casting and fly fishing instructors in North America. Commit to excelling with the two-handed casting style, that is sweeping North America by storm and learn from one of the best in the sport. Enroll Now and fish with confidence. Bring weather related fishing clothing, waders, jackets, hats, glasses, etc. Fishing Licenses not required for casting schools. Licenses required for optional fishing. Soft drinks provided, feel free to bring your own beverages and special dietary needs. Two days of spey two-handed casting and fishing instructions consisting of every two-handed casts required to fish both river left and right. “C & D” Casts, Snap “T”, Single Spey, Double Spey, Snake Roll, Wombat and others. Understand when to implement casting variations to allow for safe and effective presentations during windy conditions or being positioned in restrictive areas that may interfere with the basic casts. Learn to understand casting faults and how to self-correct. Day One: 6 hours on the water instruction, in house work shop after dinner. Day Two: 6 hour on the water instruction, hands on instruction prioritizing student’s requests. 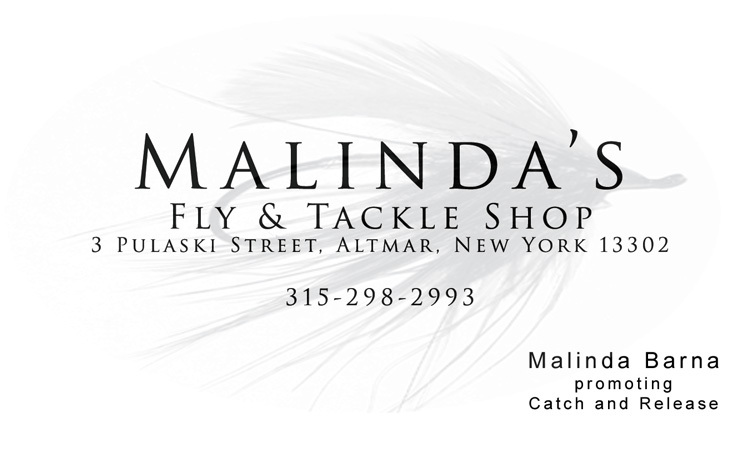 Gift Certificate redeemable at Malinda's Fly & Spey Shop. Some restrictions may apply. Valid only to attending students. RSVP: all reservations to be paid in full 10 days prior to school. Non-refundable deposits are required at time of reservation. Student cancellation may result in forfeiting deposit or may be applied towards another Spey Doctor service. For any reason the school is cancelled or rescheduled, all payments will be refunded in full. Spey Casting, Fishing and Swinging flies on the Salmon River New York and Deerfield River Massachusetts for trout, salmon and steelhead is a style growing in popularity. The Salmon River NY, Great Lakes Tributaries and the Deerfield River are favorites for swinging wet flies and larger spey flies and streamers in the Northeast and New England. Be part of this growing sport and see how you can easily advance all your fly fishing skills. These schools are for all levels of experience which allow you to gain confidence and advance your casting and fishing abilities while learning two-handed and single hand spey and fly casting, with the many proven techniques and presentations acquired by Walt during his 40 plus years of traditional fly fishing experiences.